You see turnstiles everywhere, even in places where you don’t really expect them to pop up. They are installed in banks, in gyms, and in numerous other locations. Would your company benefit from business turnstiles? These are a useful way of controlling the flow of foot traffic into a building, so the odds are good that yes, you would indeed benefit from them. Let’s discuss the different types of these turnstiles in order to illustrate just how they work. These are the types of business turnstiles that you’re probably familiar with. These turnstiles are used to validate tickets at an entryway. There’s usually an employee present in case you have any issues, but for the most part, you walk up to the turnstile, scan your ticket (whether it’s virtual on a smartphone screen or a printed paper ticket) and then the turnstile will unlock and allow you to enter the building. Ticket turnstiles can be installed in many different types of businesses, including museums, sporting arenas, concert halls, and any other place where a ticket is required for entry. In some cases, the tickets are sold ahead of time and sent to you, but in others, there’s a ticket booth not far from the entrance to the building. If this is the case, then the turnstiles will be located near the booth, perhaps around ten to fifteen into the building itself. They’ll separate that entryway from the main part of the structure. If you want to control who’s entering your business by selling tickets beforehand, then turnstiles are great ways of doing so. They eliminate the need for multiple ticketing employees, as just one has to be present in case something goes awry. If you really want to monitor everyone who comes in and out of your company’s office, then speedgates are the best business turnstiles for the job. These turnstiles don’t look like the typical ones. They are metal on either side and have two plexiglass swinging doors that must be gone through. The doors are short and only go up to about the waist height of the average person, making them impossible to jump. Someone has to walk through them in order to enter the building. These turnstiles have no ticketing mechanisms or anything of the sort. Instead, they are attached to a monitoring system that notes when the person goes through the short doors of the turnstile and into the structure. If you have a bank or some other sort of building that needs to be kept secure, then they are a great option. That monitoring system can note – both by timestamp and video evidence – everyone who goes in and out and exactly when they go in and out. If, for example, the bank is robbed, then the turnstile will collect information on the burglar. This really helps law enforcement as there is a way of tracking everyone. The information will be used in the investigation. Another good use for these turnstiles is in companies that need to be kept secure. For example, chemical companies, the main offices of banks, and numerous other companies must be kept secure and have a record of which employees are entering and exiting the building. Business turnstiles are very useful in this way. What if you have a gym that needs scannable business turnstiles? These are a bit more complex than ticketing turnstiles, although the idea is very similar. These turnstiles include scanners that can scan the barcodes on the gym’s membership cards. When someone who is a member wants to enter the gym, they just need to present their card, scan it, and then walk through the turnstile. This is much easier than having someone stationed at the entrance checking membership cards. 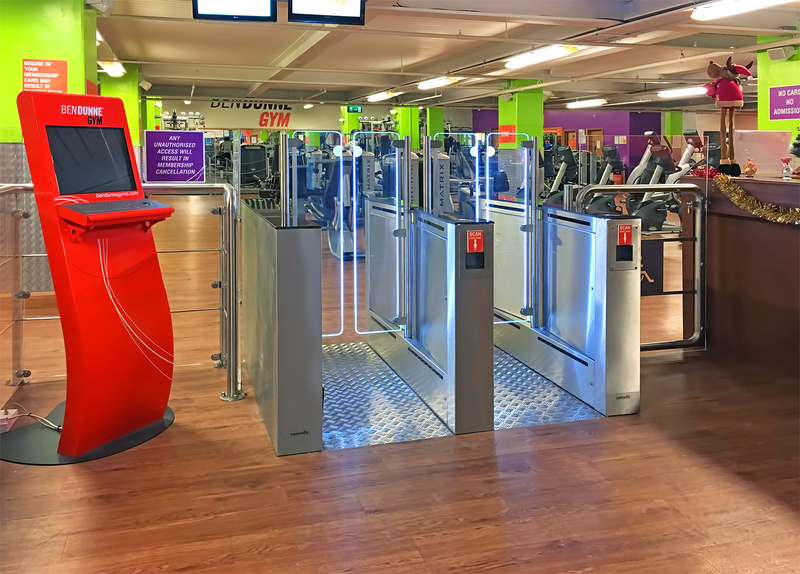 Even better, if someone wants to enter the gym, but isn’t a member, they’ll have to enter their information in the attached computer system, which then allows them to get in – and they’ll be greeted by an employee right near the other side of the turnstile. This system alerts the employee as to the prospective member. Other uses for membership turnstiles are in museums. We already mentioned ticketing turnstiles, but good additional use is for museums and popular visitor attractions such as Dublin Zoo allows free-flowing entry for members. They just need to go to the right turnstile, scan their membership card, and they’re in. As you can see, there are numerous uses for business turnstiles. These devices are a very good way of keeping track of who is entering and exiting a building.